Perfect Blend Solutions in association with African Pride Audacia Manor Boutique Hotel proudly presents a premium African dining experience, Taste Africa hosted by Celebrity Chef, Lentswe Bhengu. Lentswe is a Durban High School (DHS) Alumni and has accomplished many great things in his career to make KZN proud. “Six months ago, I had a coffee date with my manager and I said to him I don’t know what it is but a part of me just wants to sit at a long table with strangers, friends, family and just have them experience Africa the same way I have experienced it over the past three years through food. That is how Taste Africa was borne,” says the enthusiastic Chef Lentswe who has spent a great part of his career travelling around Africa to learn about the different cuisines and honing his skills as an African cuisine specialist who has proven to be a force to be reckoned with. Chef Lentswe Bhengu is a retired suit; having left investment banking to become a professional Chef. 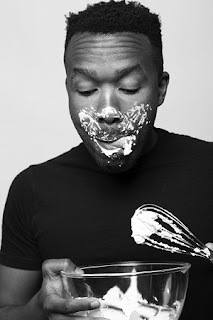 Since then he has launched his TV cooking show, Africa on a Plate which is aired in the US, Canada and BET Channel as well as being involved in many local cooking television productions. Taste Africa will be an intimate fine dining experience where guests will be seated around one long table to create a sense of unity amongst strangers. Guests will be treated to a four-course dinner, entertainment as well as interaction with famous local brands. Anyone wishing to be a part of this magical experience on September 27 at the African Pride Audacia Manor Boutique Hotel in Durban should e-mail sifiso@perfectblendsolutions.com to make a reservation. Tickets are R1.000 per person and seating is limited.